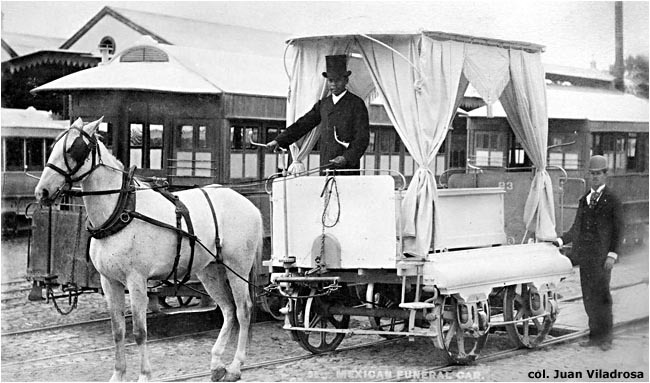 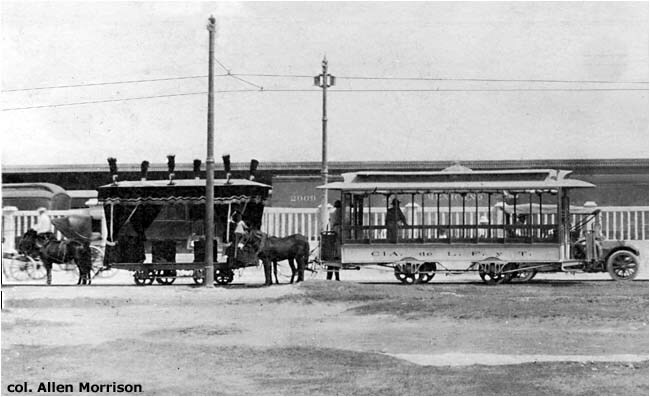 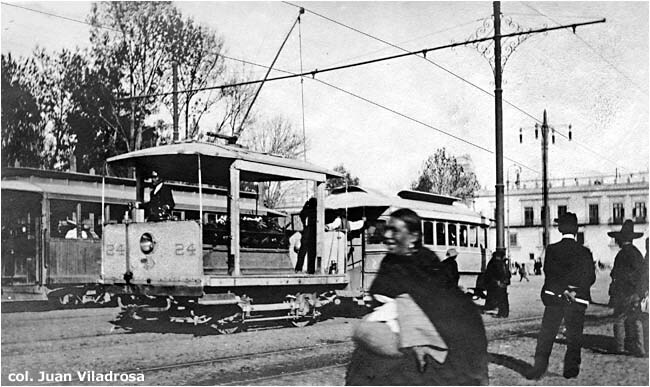 In addition to passenger cars, most of the world's street railways had other vehicles – baggage cars, work cars for repairs, flat cars to carry materials, watering trams for dusty streets, etc. 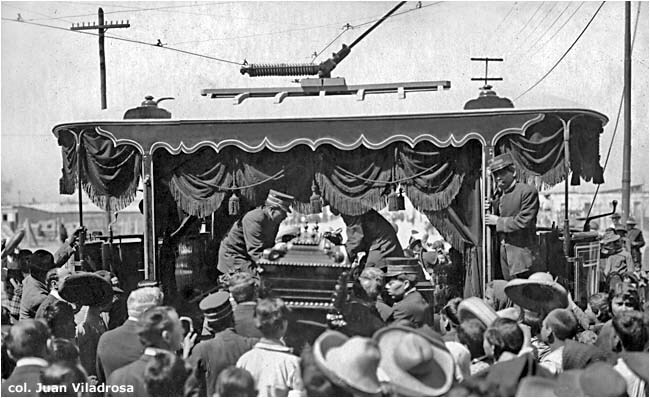 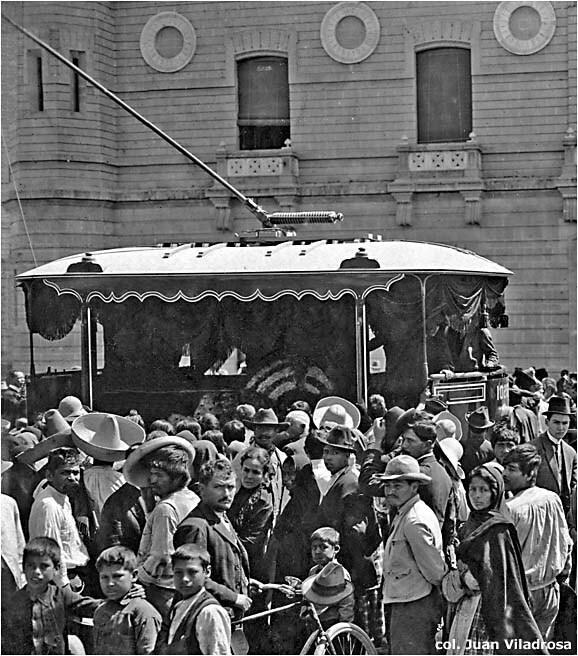 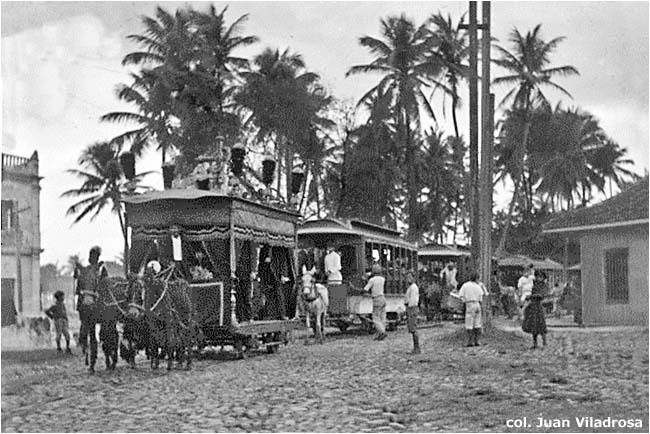 Some of the larger systems had unusual vehicles – sightseeing cars, party cars, trams for weddings, ambulance cars, restaurant trams and fire-fighting cars. 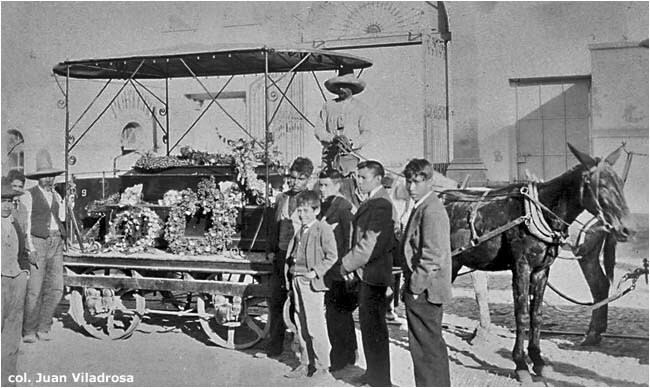 More than any other country, Mexico seems to have excelled in specially-designed cars for transporting the deceased from the hospital or church to the cemetery. 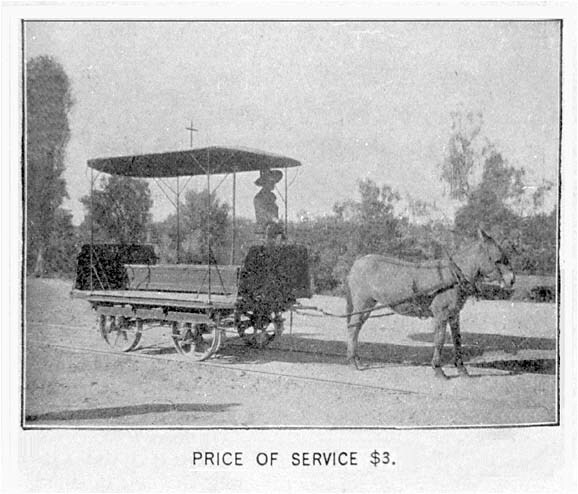 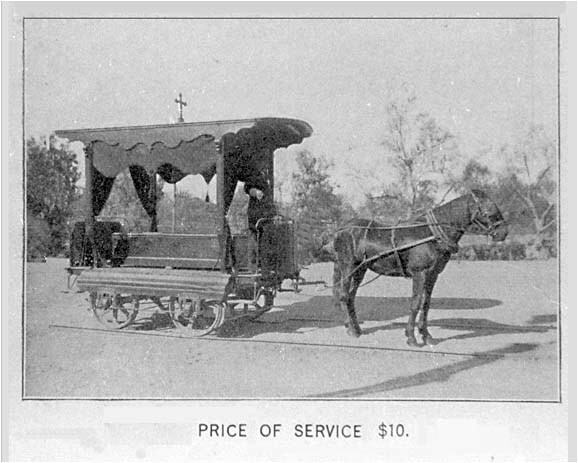 This picture appeared on p. 819 of the 1 May 1909 edition of Electric Railway Journal, published in New York. 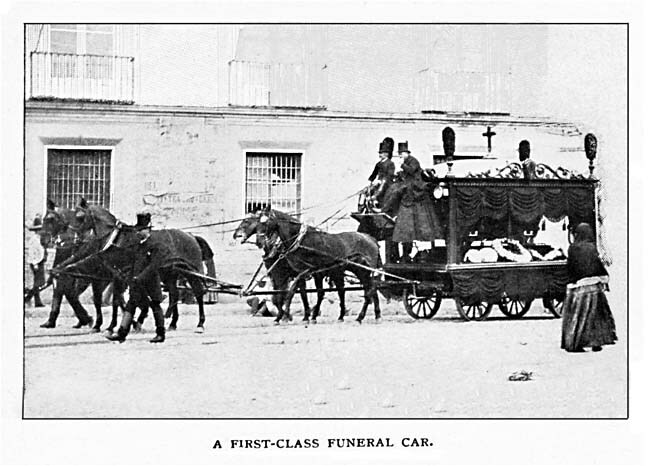 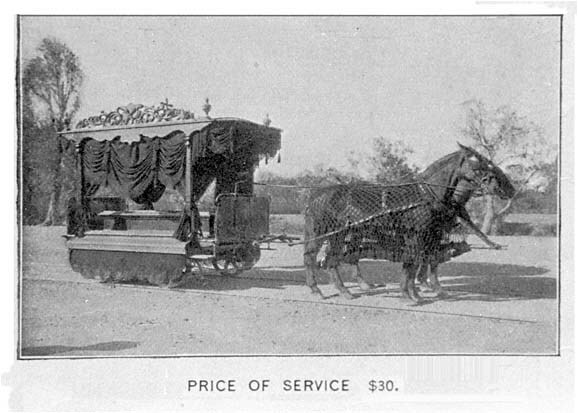 In 1906 Mexico City ordered nine 4-axle funeral cars, both first and second class, from American Car Co. in St. Louis. 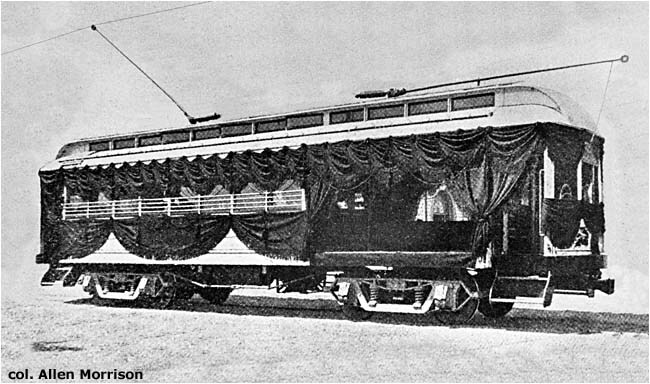 (American had been acquired by J. G. Brill Co. in 1902.) 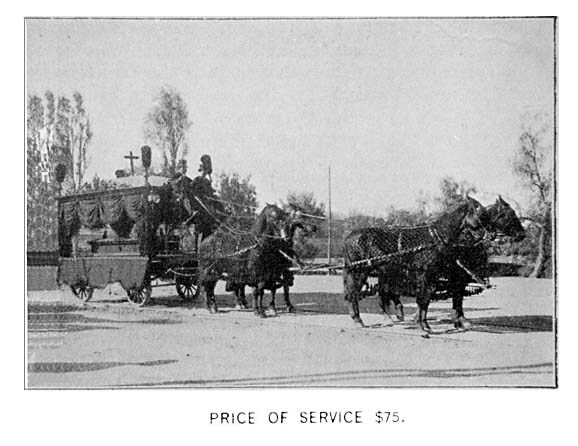 This illustration appeared on p. 20 of the 15 January 1914 edition of Tramway and Railway World, published in London. 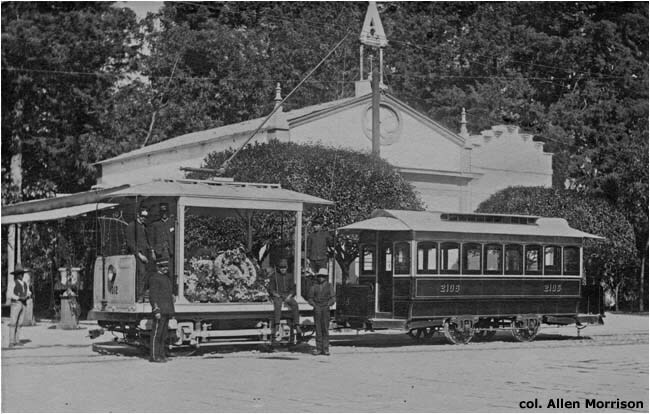 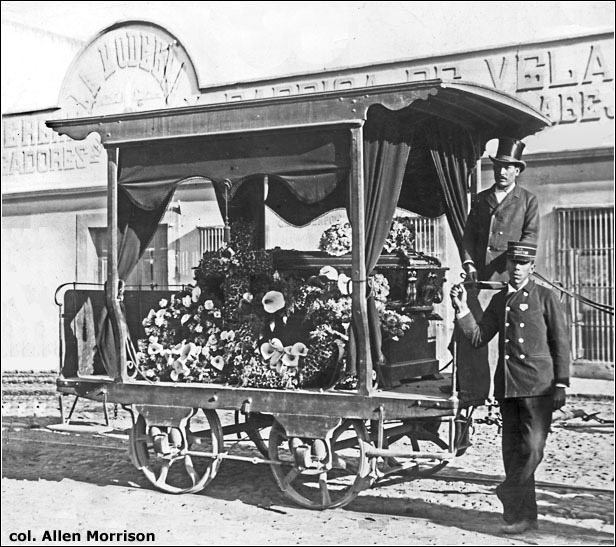 In the early years of the 20th century an estimated 90% of the capital's deceased were transported to cemeteries by tram. 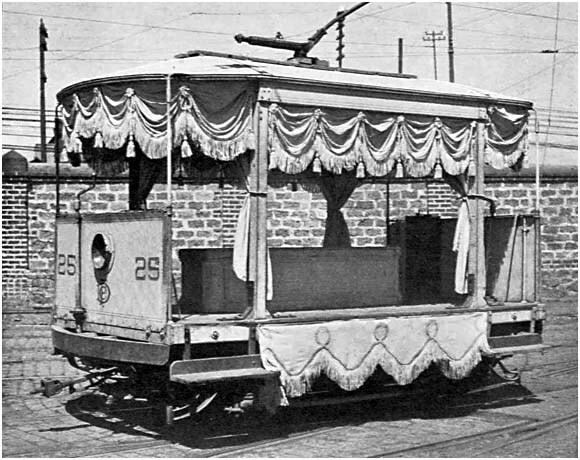 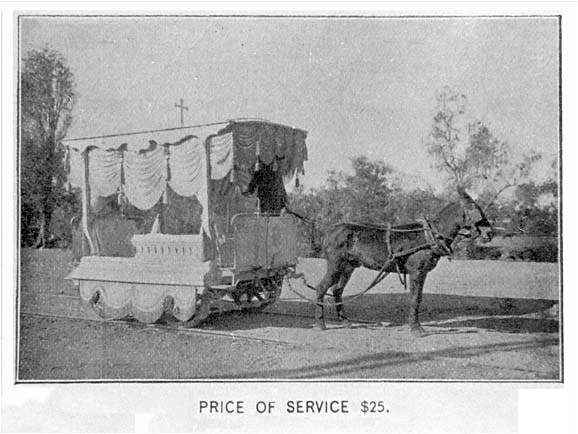 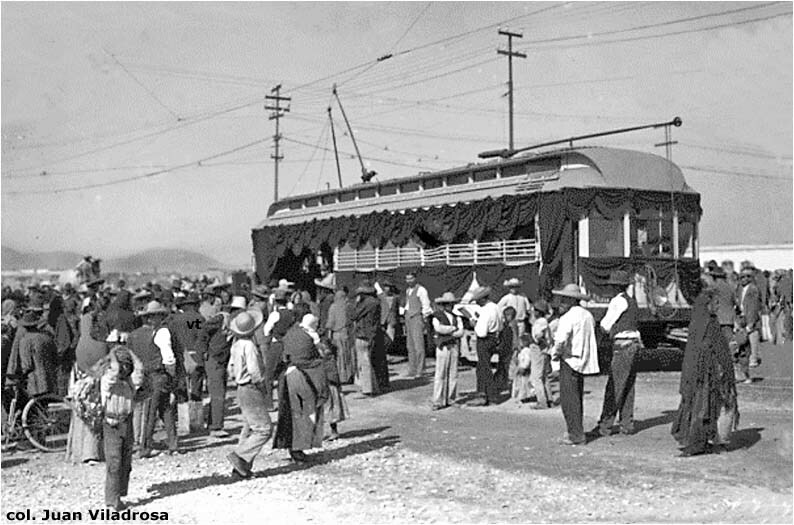 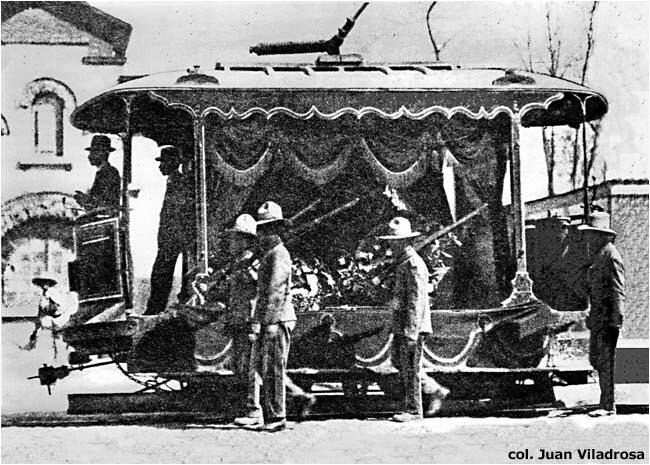 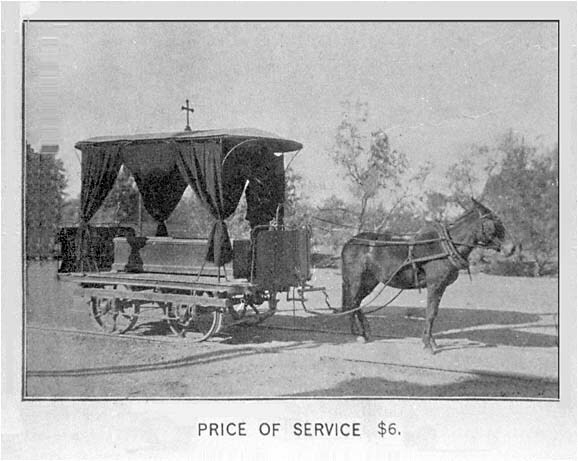 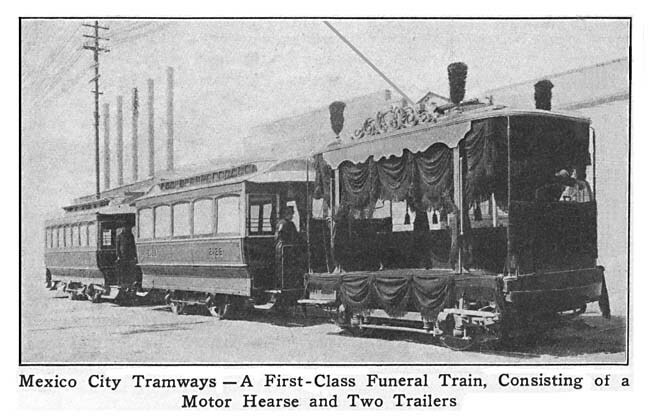 The tramway company had 90 funeral vehicles of every size and style.